Pendez Weavers has a small workshop on the Nairobi highway in Kisumu. They have been working together for several years weaving and stitching everything from carpets to clothes. 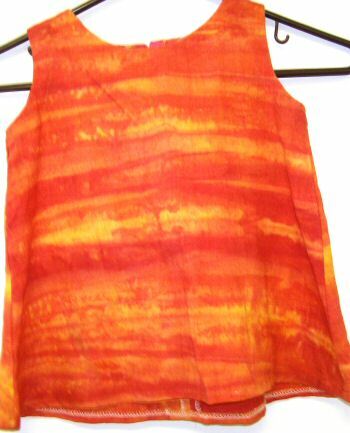 This fabric is woven and then dyed which makes this child’s dress a true one of a kind. The dress measures 9.5″ from shoulder to shoulder, 13.5″ across the chest and 16″ from the shoulder to hem. There is a 8″ zipper in the back.